So, you were watching “The Crazies” on Doomsday Preppers and Googled “preppers” and arrived at Prepper Website…which brought you here (I try not to post on PW). First, Doomsday Preppers is a TV show. The producers need ratings. If they don’t get ratings, they don’t continue to produce the show. The best way to get ratings is to show a lot of crazy people doing stupid stuff for stupid reasons! Preppers is a term to describe people who want to be prepared. In reality, who doesn’t want to be prepared? 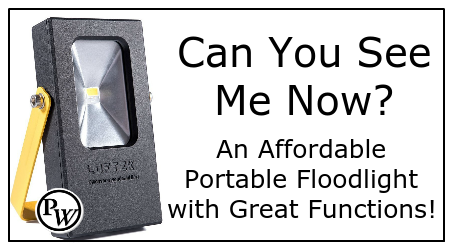 If a hurricane was coming to your city, would you not want to have some food at home, batteries to run flashlights and a generator to provide some power to your refrigerator so you don’t lose all that food? If a wildfire was at the door of your nediborhood, wouldn’t you want to know what to do to minimize damage to your house? If you lost your job, wouldn’t you want to be able to have a little cushion to survive without worrying about what you were going to eat and how you were going to pay your bills? Preparedness is just common sense. Preppers want to live a self-reliant life. We choose to be responsible for our own lives and not dependent on the government to come and rescue us… remember Katrina? remember Sandy? Preparedness is how your great-grandparents lived. They didn’t have 24 hour Walmarts to get whatever they wanted or needed. They had to plan and think ahead. Many of them would have never depended on the government for help unless it was a last resort! They were a different generation! We don’t want to go backwards, but we do want to live in the spirit of being responsible for ourselves. Yes, there is some craziness out there. But you will find craziness in every area of life. When you involve people, you have the potential for extremes. I challenge you to READ THIS and think about how prepared you are for an emergency. You don’t have to be a rocket scientist to know that we are living in stressful times. If you are doing the grocery shopping for your family, you know a little of what I mean! If Doomsday Preppers does anything…I hope it will at least get you to think about taking responsibility for your life and not depending on some one else who may or MAY NOT be there. 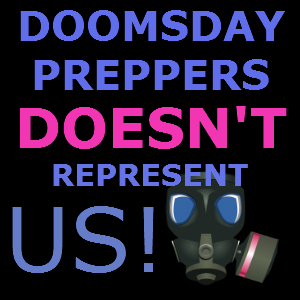 For Preppers – This article was written because Prepper Website sees a dramatic jump in visitors on the nights that Doomsday Preppers airs. I’m hoping to share with the non-prepper, the advantages of living a preparedness lifestyle. Feel free to leave any good advice below. Prepper-Come-Lately – Not Happy About Prepping? Personally I like Prepper Website and I check it daily, usually. I always thought the Doomsday Preppers featured on the show were weird and oddly specific about what they were prepping for. My thought was “what if they were wrong?” and what they had prepared for didn’t happen. I still don’t consider myself a full fledged prepper though I do have quite a few supplies. I tend to agree with the thought you can’t be 100% prepared because it would cost a fortune to prepare for every scenario every person has ever thought of. My view is to be all around generally prepared. I have bug out supplies, bug in supplies. I have plans on what my family and I need to do depending on where we are if the SHTF and what exactly the S is that HTF. In my opinion, a good base to start with is a food/water supply, weapons for defense, bug out/in gear. Then you can branch off into prepping for the oddly specific such as a biohazard, emp, smart/dumb bomb launched from Luxembourg (that was a joke btw). That’s my $.02. I think you are headed in the right direction. Everyone knows that the producers on the show make ever “prepper” choose one event. But most prepppers don’t prepared for just one event. A “general” preparedness is good. I would add that you should consider the area that you live in and prepare accordingly. Living on the Gulf Coast, I’m not going to prepare for getting snowed in, but I WILL for a hurricane… Done that, got the t-shirt. Got 2 shirts for hurricanes. First one not prepared at all! Second one, prepared enough to make it through. Now I have enough provisions to feed(redacted)for(redacted). But going through 2 hurricanes, technically 3, is a hard way to realize you need to be prepared. Now I’m working on a garden….bleh. lol. All our ancestors were survivors or we wouldn’t be here. It’s in our blood and genes and is our primary objective as we experience our lives. Being prepared is mandatory if your going to be more than canon fodder or a statistic in an emergency. There is more stress being placed on our society, natural resources and the Earths ability to respond to our pollution and exploitation. We will not be able to survive as a single person for long, I don’t care how much “prepping” you do, seeds, food, books, guns, ammo etc. you have. We are communal and need others to help us survive the coming “emergencies” no matter what they are. So we need to “plan” on helping each other or the next “Higher Order of Being” might well be the roaches or rats. Many of us enjoy the Prepper shows or Mountain Men etc., it’s entertainment and I think most “grown ups” understand it’s a “show” and is make believe in that sense. If even a few people start to think about preparing for emergencies after watching one of them, then it’s a success. I hope and pray everything we have done to be prepared will never be used except in practice and training but tornadoes, hurricanes, snow storms, floods and wild fires happen every year, BE PREPARED!! Great message, Todd, and so true. Hope some of those people who land on your page after watching Doomsday Preppers manage to land on this article. Not every prepper is a paranoid conspiracy theorist! Not even close. Many are just regular people concerned about their future, and who thus do their best to prepare for difficult situations that may or may not arise. I honestly swear I watched that Doomday Preppers and they advised drinking and taking water to drink out of Car radiators…I mean Really ? Thank you for all your hard work on behalf of all the preppers out there. It is greatly appreciated. One thing we all need to remember as preppers is that the Creator gave us everything we need, all we need to do is learn how to use it as did our ancestors and not abuse it. Sadly the gifts we received from our Creator have been sorely abused.